Selwyn Harris/Pahrump Valley Times Nicole Smith joins her son Drew with a shaved ice cup. Drew's desired concoction consisted of the flavors, Tiger Blood, Root Beer and Cotton Candy. 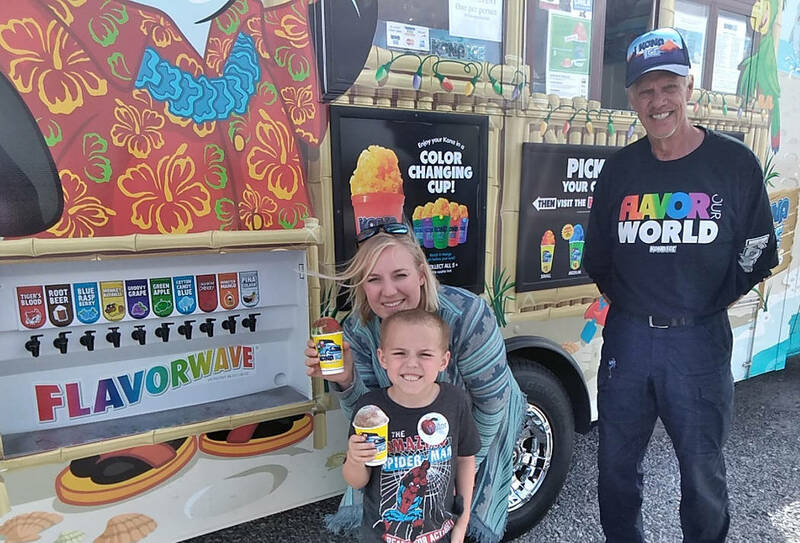 Both are joined at right by Kona Ice Franchisee Jim Karr. Selwyn Harris/Pahrump Valley Times Eury Le Tarde, second from left, stands alongside family members Timothy, at left Tray Hendrix and Mikayla Harrison, a 5th grade student at Floyd elementary School. The bevy spent time enjoying a cup of free tropical shaved ice, at the VFW Post 10054 on Monday April 15, courtesy of Kona Ice out of Las Vegas. Serving up the frozen treats is Cole Karr in the background. 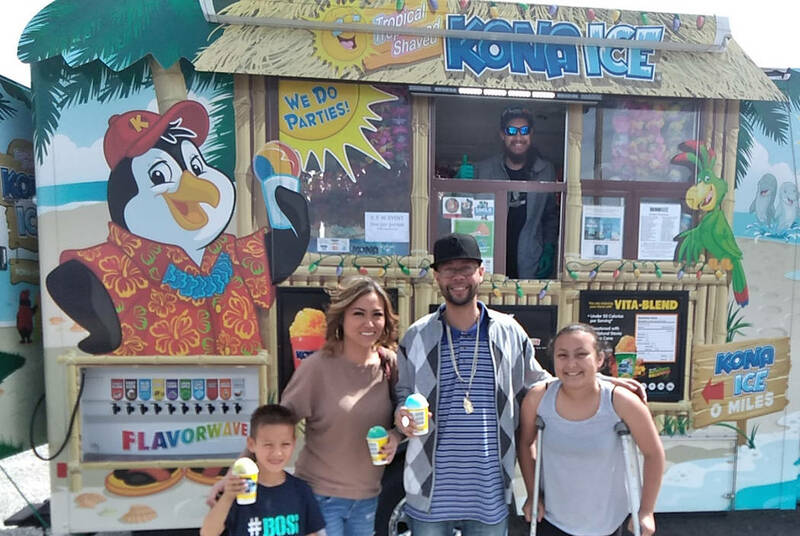 Kerr, a frequent visitor to Nye County, was offering free cups of Kona Ice to any and all who stopped by, as part of the sixth annual “National Chill Out Day,” in observance of the April Tax Day deadline for tax filers. Karr also added something slightly different this year to the benefit of the VFW Post. Additionally, Karr spoke about how Kona Ice franchises across the country support their respective communities.